ABSOLUTELY everybody loathes the loud group of uber-dicks who have settled right in the middle of the pub, it has emerged. 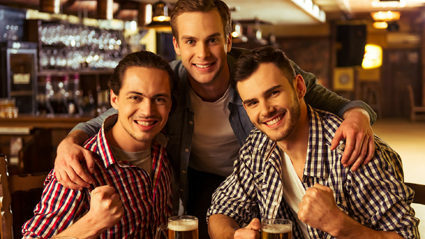 Spreading themselves across a large table and several stools, the pale-jeaned, Top Shop-shirted lads, who could be recruitment consultants or ‘property developers’, are treating normal lager like it is super-strength yelling fuel. Although one of them just got on a table, there is no sense that they might start smashing up the pub. However in a way that is a shame because at least then the police would be called and they would all be hauled off to the cells. Nikki Hollis, sitting with her friend trying to have a quiet drink for which she had just paid the thick end of ten pounds said: “What gets me is the constant, raucous guffawing. “I think I’ve only laughed that hard twice in my life. Yet every ten seconds they bring the plaster from the ceiling with a collective belly laugh that makes me hate them with the heat of a million fresh-baked pasties. 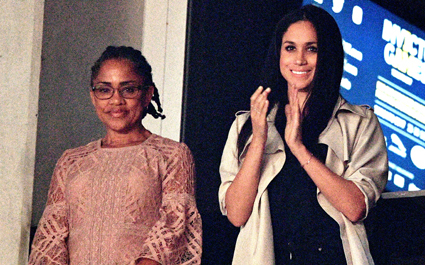 MEGHAN Markle has told her mother that she is marrying into the reality TV family known as the ‘English Kardashians’. The former Suits star admitted that her acting career has struggled to gain traction and that she has resigned herself to a more low-brow form of televised entertainment. She said: “I know I said I’d never do reality, but this is different. Their audience is global and their experience of leveraging income streams is second-to-none. “I’ll really reinvigorate their appeal in the US market. They’re modernising, the older ones are being retired. “It’s not that intrusive – we decide what gets filmed, apart from the public scenes – and even if I move on after a few years I’m made for life. “I know they tried to get Kendall Jenner. I know, mom, everyone in Hollywood knows, but her error is my opportunity, you know?